Starcraft II: Wings Of Liberty is the 2010 sequel to the 1998 real-time strategy science fiction game, Starcraft and its 1999 expansion pack Brood War. 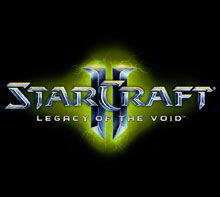 In 2013, Starcraft II: Heart Of The Swarm was released as an expansion to Starcraft 2, with another expansion, Legacy Of The Void expected in 2015. On this page you will find all of our official Starcraft merchandise, including official Starcaft II t-shirts and official Heart Of The Swarm tshirts.